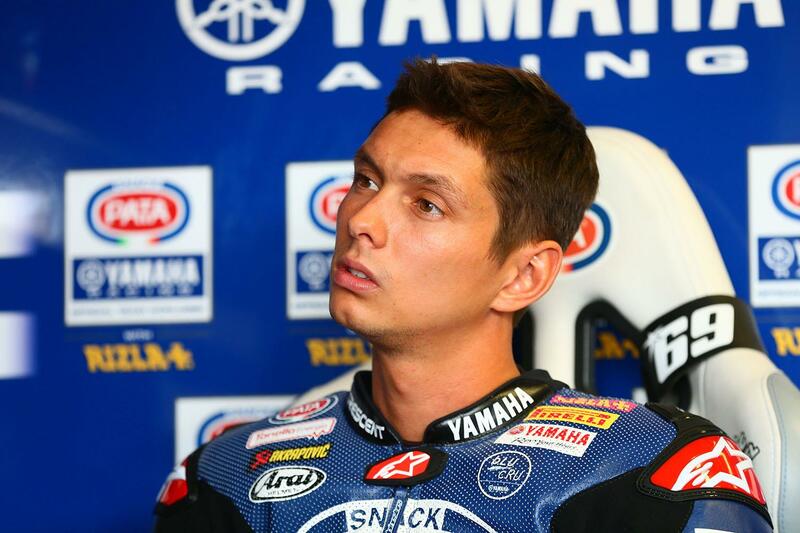 Yamaha have confirmed that World Superbike racer Michael van der Mark will get his MotoGP debut next time out at Motorland Aragon, deputising for the injured Valentino Rossi as he continues to recover from surgery on his broken leg. The Dutch rider will go into the weekend as a complete rookie with no previous MotoGP experience – but says that he realises the size of the task ahead of him and is setting his expectations based on that. And while many expected test rider Katsuyuki Nakasuga to step into the Italian’s shoes and not the rookie WSB racer, Yamaha boss Lin Jarvis says that the opportunity is in part a reward for van der Mark’s Suzuka 8 hour performance earlier this year. “Following Valentino‘s crash on Thursday, August 31st, Yamaha decided not to replace him at the San Marino Grand Prix, but for the next Grand Prix in Aragón the team is obliged to enter two riders. It being virtually impossible for Valentino to be fit to race in Aragón, Yamaha decided to search for a capable replacement from within its own pool of contracted riders.